Maybe it’s taking a walk amongst the clouds or the wealth of the rainforest, but it seems that Costa Rica and family vacations tend to go hand-in-hand in my head; it wasn’t so long ago I was recommending a similar trip to a divorced mom with two kids. 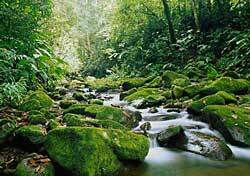 In your particular case, Costa Rica is also an ideal match for you and your adventurous bunch. With that said, here are several affordable packages that offer outdoor activities, cultural insights, and plenty of relaxation without the cookie-cutter feel of an all-inclusive resort. Vacation packages come in all different shapes and sizes. You can go with the bare bones (air-and-hotel) and plan all transportation, activities, and meals on your own, or you can book a package that comes with all the bells and whistles. The former option is fairly easy to find, as you can search any of the major travel sites like Expedia, Travelocity, and Orbitz. Many of them even offer packages that include car rental (if you decide you want to drive) along with airfare and lodging. You just simply type in your departure city, desired travel dates (remember, flexibility saves money, so try several different dates to find the lowest fare), number of travelers, and destination, and they do the rest. For instance, I priced air-and-hotel packages to San Jose, Costa Rica, through Expedia for a family of four (two adults, two kids) in June starting at $2,422 (with taxes and fees), or $606 per person. The deal includes airfare from Los Angeles and seven nights’ accommodations. Prices vary by departure city, travel dates, and hotel. Another way to search is through package providers like Pleasant Holidays that continually offer air-and-hotel deals throughout the year. At the moment, you can book a three-night trip to San Jose starting at $625 per person (without taxes and fees), including airfare from Los Angeles (other departure cities are available at a higher cost), and hotel. The deal is good for travel through May 24. Once you have a basic package booked, it’s time to plan the rest of your stay. The Costa Rica Tourism Board is a valuable resource for activities, maps, and travel tips. If you’d rather rely on a tour operator to do the heavy lifting, you have several options. At first glance, tour operator packages may seem more expensive, because many of them include all activities, ground transportation, hotels, tours, some meals, and a guide. With most of the companies below, you book airfare separately from the package. Tour providers like Caravan and GAP Adventures provide detailed travel itineraries to destinations all over the world once you land. Gorp Travel is a great place to find a range of different travel options since the site offers links to specific providers. For instance, I found a family-specific package through Discovery Adventures on the Gorp Travel website. The Cost Rica Family Experience starts at $1,149 per adult and $1,099 per child (without taxes and fees), and includes eight-nights’ accommodations; all ground transportation; eight breakfasts, three lunches, and one dinner; a Discover Adventure guide; a tour of Danaus Ecocenter; a visit to the hot springs of Arenal Volcano; a safari float on the Rio Penas Blancas; a tortilla-making course and lunch with a local family; a walking tour and tree planting at Santa Elena Cloud Forest Reserve; and a walking tour in Manuel Antonio National Park. Don’t forget to book your own airfare. GAP Adventures offers a similar deal—without as many perks—with its Costa Rica Quest package starting at $759 per person (without taxes and fees). The offer includes eight nights’ accommodations; all ground transportation; a tour leader; local guides; a horseback riding trip around Monteverde cloud forest (weather permitting); and a guided visit to Santa Elena Cloud Forest Reserve. Just as with the package above, you will have to find your own airfare. One last word of advice: Don’t be afraid to compare prices and packages. You might find that a cheaper package doesn’t necessarily mean a better value. Also, having a bit of flexibility in your travel dates can make quite a bit of difference in savings. I hope you and your family have a wonderful first vacation in a new country together. Keep us posted on how everything goes. To my other readers: Do you have another idea for a family vacation outside of the U.S.? Or what about tips on where to go and what to see in Costa Rica? Please share all comments below.